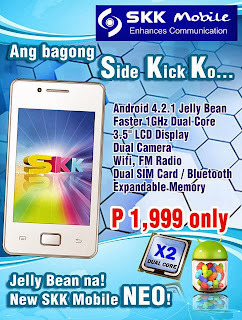 Looking for a Jellybean smartphone but your planned budget is below 2000 pesos? 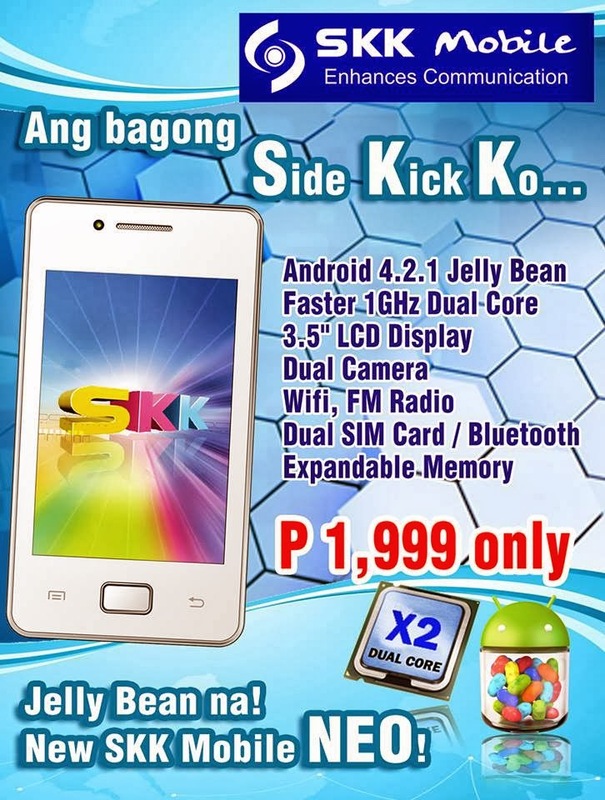 Early this year you can't look for an Android Jellybean phone with the price of 1999 pesos but as of this posting or few days earlier one of local mobile manucfacturer SKK Mobile released the super affordable smartphone dubbed as Neo. The handset has 3.5 inch capacitive touchscreen powered by 1GHz dual core processor and of course it has Jellybean 4.2 OS flavor. SKK Neo is decent phone you can pair with your main smartphone for handling calls, texts and even social app quick access while on the go. Though it has all smartphone features still you have to consider that this phone is build to handle normal phone task in a better UI and design.